For the last 18 months, debate in the UK, Europe and the US, has raged over how to measure the complete carbon footprint of a product, incorporating every stage of the product’s life, from cradle to grave. It is imperative that Australian businesses catch-up because in February 2008 the Australian Food and Grocery Council announced they would investigate carbon labeling for grocery products in Australia and the impact that this process would have on everyday products in our supermarkets, explained Mtech Australia CEO, David Bignold. For years businesses have cut supply chain costs to improve the financial bottom line. Could a supply chain approach be used just as successfully to cut carbon emissions? Measuring a product’s carbon footprint from cradle to grave certainly is not simple. There are tens and in some cases hundreds of products and services used to bring a product to market. It’s easy to see why the supply chain is the source of the majority of a product’s emissions. Consider one small part of the process, warehousing. Drilling down even further, simply consider forklift emissions. “Imagine how many forklifts whiz around warehouses just within the grocery sector and you can begin to appreciate the impact a 23% reduction in each forklifts emissions could make on a single packet of biscuits,” says Bignold. Forklift fuel costs, and more importantly their emissions, are of great concern for companies whose employees are required to work in confined spaces, factory units or even large warehouses. Employees working in these areas are exposed to high levels of carbon monoxide (CO), carbon dioxide (CO2), oxides of nitrogen (NOx) along with other exhaust pollutants. Engine emissions in enclosed spaces can quickly become fatal, particularly as a result of carbon monoxide poisoning. Forklift engines also produce other gases that can be harmful or fatal, as well as consuming available oxygen. The dangers are compounded by the fact that exposure to gases or reduced oxygen levels impairs judgement and reflexes, causes dizziness and increases fatigue – creating further serious hazards such as accidents. Workplace safety is a key part of modern business practices, and carbon awareness is rapidly increasing in importance to Australian business. According to the A.C.T. Workcover 2005 Guide to Forklift Safety, a working forklift with a 1.8 litre LPG engine operating in an unventilated 60,000 cubic metre warehouse (10m x 60m x 100m) could take just 30 minutes to exceed exposure standards for carbon monoxide. So, reducing forklift emissions will be not only good for the environment but also for Occupational Health & Safety reasons. But short of opening non-existent windows and spending billions in electric forklifts, what can be done? One company claiming to reduce engine emissions is the Mtech Fuel Saver. The technology is made up of three clip-in modules, which are easily installed in under an hour. The Mtech Fuel Saver is said to maximise an engine’s fuel efficiency and decrease greenhouse gas emissions. Specific models have been created for petrol, diesel and LPG engines. Each step of the supply chain process needs to be addressed, with technology giving companies the best fit in achieving a sustainable emissions reduction solution. The Mtech Fuel Saver is said to change the properties of fuel through molecular reaction technology, releasing thermal energy at a wavelength that separates fuel molecules. Once fuel molecules are separated, they can form smaller droplets. The smaller droplets have a larger surface area, ignite better and burn more completely. A cleaner burn leads to less pollution, more power and a saving in fuel costs. The Mtech Fuel Saver removes the carbon build-up inside the engine, increasing the life of the engine oil, fuel injectors, and spark plugs. By reducing the amount of unburned emissions, the life of the catalyst (catalytic converter) is also extended. Laboratory testing of the Mtech Fuel Saver conducted by the Orbital Corporation in Perth, showed a 23% reduction in greenhouse gases. So this handy gadget can reduce your carbon footprint, lower workplace accident rates and slash running costs. Reducing carbon emissions across each step of the supply chain is the key for business to making significant carbon emission reductions. On 9 October 2007 the Wall Street Journal reported six of the world’s largest companies, including Procter & Gamble, Unilever, Tesco, Imperial Tobacco Group, Cadbury Schweppes and Nestlé, were banding together to form the Supply Chain Leadership Coalition. One of their primary goals is getting suppliers to release data about their carbon emissions and climate-change-mitigation strategies. This information will help to evaluate suppliers based on their green credentials. 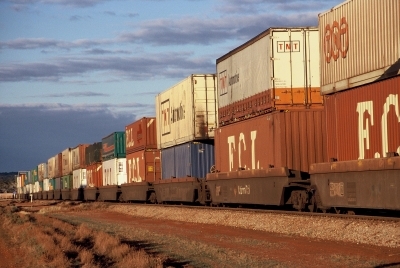 Operators in the Australian supply chain should learn from these global trends. Consumers too are becoming more aware of emissions caused through consumption. According to The L.E.K. Consulting Carbon Footprint Report 2007 – Carbon Footprints and the Evolution of Brand-Consumer Relationships Carbon Footprint Report, 56% of UK consumers want information about the carbon footprint of the products they purchase and 44% would switch to brands with smaller carbon footprints. In Australia, the bottom line incentive to reduce emissions will only grow. Global trends show if you don’t reduce and track carbon emissions, your customers will switch to someone who does.